Thank you to Nestlé for sponsoring this post. 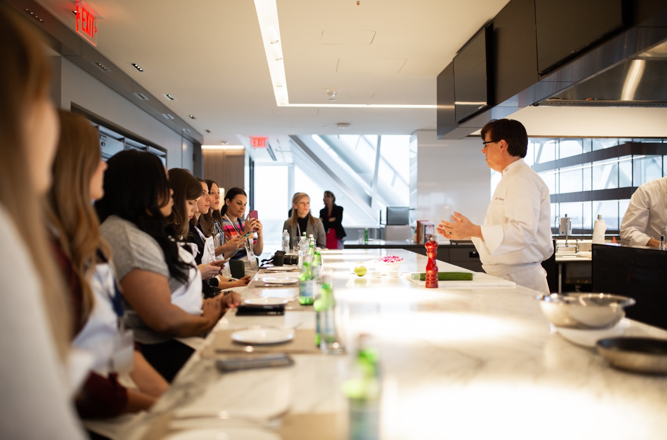 I recently had the chance to visit Nestlé in Arlington, VA for their Nestlé More Ways to Love Plant-Based Choices live event. I was already a fan of Sweet Earth especially as well as some of the other Nestlé brands. I was excited to learn more about their plant-based foods and was super excited to find out how many plant-based products that they had. Nestlé helps feed millions of people and they taught us how they leverage nutrition needs, culinary expertise and consumer trends to inform innovation and renovation of the foods they sell. Plant-based eating includes fruit, nuts, vegetables, grains, beans and seeds. Vegans and vegetarians have been eating plant-based for years and now, more and more people are considering plant-based foods as part of their diet. The reasons vary from health and wellness to animal welfare and sustainability beliefs. Plants are a great source of fiber, vitamins and minerals, and can also be great sources of protein. With plant-based eating, it is important for the food to taste good most of all, and Nestlé is constantly working on that! I love the #BalanceYourPlate program which is an education program that helps people to build nutritious and tasty meals that are overall healthy. They have easy recipes and pair their entrees with fruits, vegetables, lean protein, low-fat dairy and whole grains. It does exactly what I try to do as a dietitian: help people to eat more fruit and vegetables! The brands that we learned about were Häagen-Dazs, COFFEE-MATE natural bliss, Sweet Earth and Lean Cuisine. We were able to get in the kitchen and help cook up some veggie side dishes to go along with foods from these brands. The chef made some extremely delicious sweet potato nachos with the Sweet Earth Tuscan Savory Grounds. I need to recreate these ASAP! We were able to sample the Häagen-Dazs Non-Dairy Collection. Their non-dairy bars were incredible along with this Mocha Chocolate Cookie Frozen Dessert. It has bold coffee and rich Belgian chocolate along with cookie crumbles and chocolate cookie pieces. I'm not kidding you - you cannot tell that either of these products are non-dairy. They are super rich and nothing screams dairy-free about these. This is one of the best tasting non-dairy frozen desserts that I have had. They don't even have non-dairy milk in them but use star ingredients such as cocoa butter, coconut cream or peanut butter for a creamier texture and truer taste. For our coffee, we got to try the COFFEE-MATE natural bliss non-dairy coffee creamers. They are made with either almond milk or coconut milk. I'm excited about the seasonal maple flavor. They are made with real, all-natural ingredients and are very creamy. It's a bit of a treat having these creamers. I picked up a couple of the almond milk creamers to have at home! Nestlé is committed to enhancing people's quality of life through healthier food choices. By making these options available on the market, you are able to choose more plant-based options if you wish. They started with 20 plant-based dishes and have expanded. They make plant-based eating simple by having tons of different options available that help meet nutritional needs. They even traveled around the world to get the best flavors globally. You will see all different types of cuisine such as Italian, Thai, Asian, Mexican and more. The Lean Cuisine Origins line is a perfect example of this - where there are all types of meals available! They use wholesome and accessible ingredients to put a new flavorful twist on plant-based proteins and vegetables. I really loved the "meatballs" in the Linguine with Ricotta and Spinach Meatless Meatballs. They are made with creamy organic ricotta cheese and tender spinach! Sweet Earth is a brand that I have been a HUGE fan of for a long time. I love their sandwiches, burritos, veggie burgers and now, their pizza. My husband who loves meat absolutely loves these. They are not just for vegetarians! They have over 50 items and tons of different types of foods that are flavor-forward, mostly vegan, globally inspired, nutrient dense and super tasty. Their sandwiches are so amazing for breakfast in just a couple of minutes. I loved my trip to Nestlé and hope to work with them more in the future as I love the healthy eating efforts that they are making! This is a sponsored post written by me on behalf of Nestlé.